Juli likes fall but is sad to think that winter is next. Writing about gardening keeps her spirits up. Here's a riddle. They bloom in cooler temperatures. They defy the cold when the rest of us are ready for warm weather. Their flowers are so bright and beautiful after a lack of color in the landscape. They let us know good things are coming. That’s what makes them so delightful! What are they? You know some of their names – tulip, daffodil, iris and hyacinth. They are spring flowers that return year after year. They come back because of their food storage system which is underground. The storage system is called a bulb. Bulbs produce flowers in the spring. The above are four of the flowers that come from true bulbs. True bulbs are mini flowers in a case. 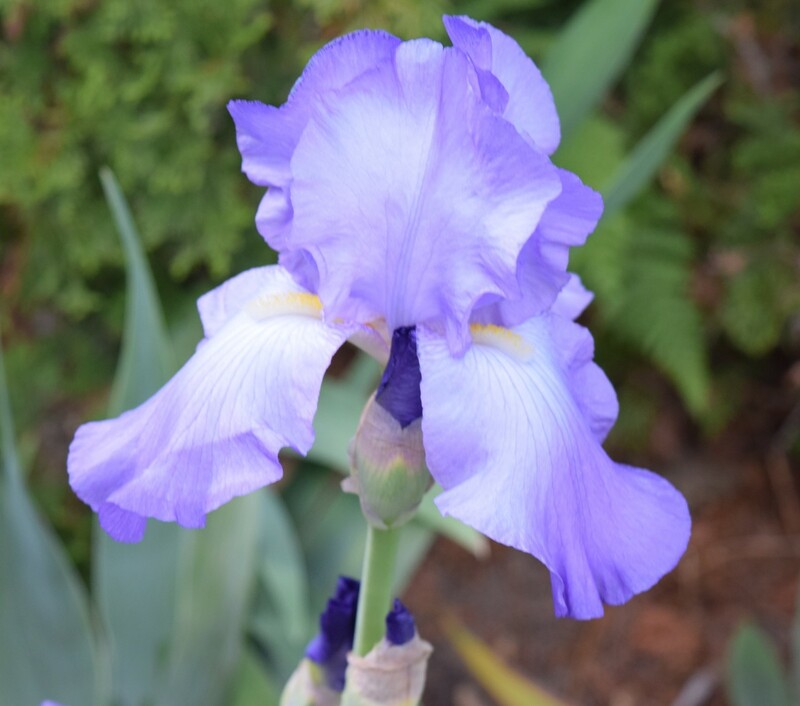 If you cut one open top to bottom, you may see the flower in miniature, usually white or cream colored surrounded by layers of material called scales which feed the growing plant. Other flowers have different storage systems. Corms produce flowers like crocus and freesia. Tubers yield caladium and cyclamen. Tuberous roots bear flowers like begonias and dahlias. Rhizomes produce cannas and lily-of-the-valley. They all have different planting times and best ways to plant them. Here we are talking about true bulbs. Fall is the best time to plant bulbs in areas of the country that experience winter cold. 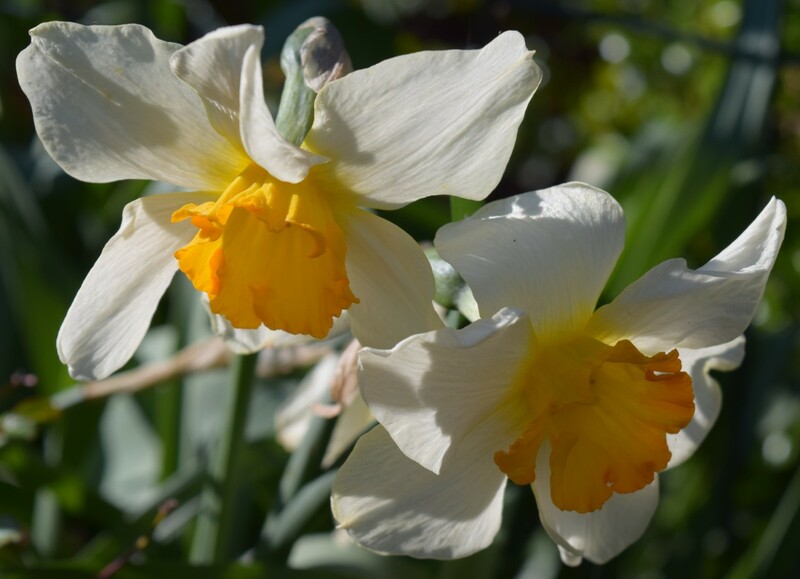 Planting in the fall before the ground freezes gives the bulb time to grow roots and establish itself. 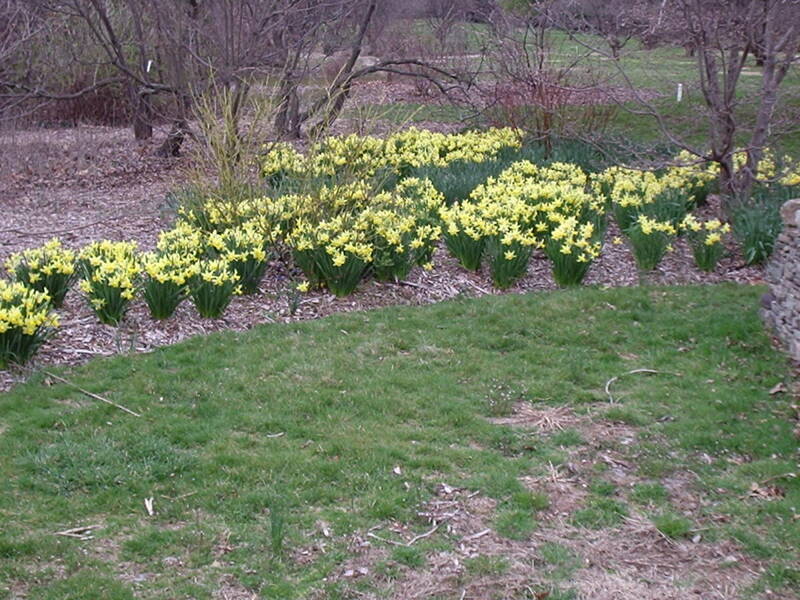 Bulbs grow well in climates that experience winter cold for 10-12 weeks. The biological process for flowering begins with this cold period. Tape measure or ruler to mark the depth of the hole. Small shovel. Some are made just for bulb planting. They have a very narrow point at the end. Some are marked in inches on the shovel to help you measure the depth of the hole. Bulb planter. This tool is useful when your soil is loose. If it’s the first time you’re digging in that spot, a shovel may be better. The shovel will go into the soil more easily than the planter. Compost. Provides food for the bulb and improves the soil. Knee pad or something soft to kneel on. This is a job where you are on your hands and knees. Bulbs you bought or were given to you. 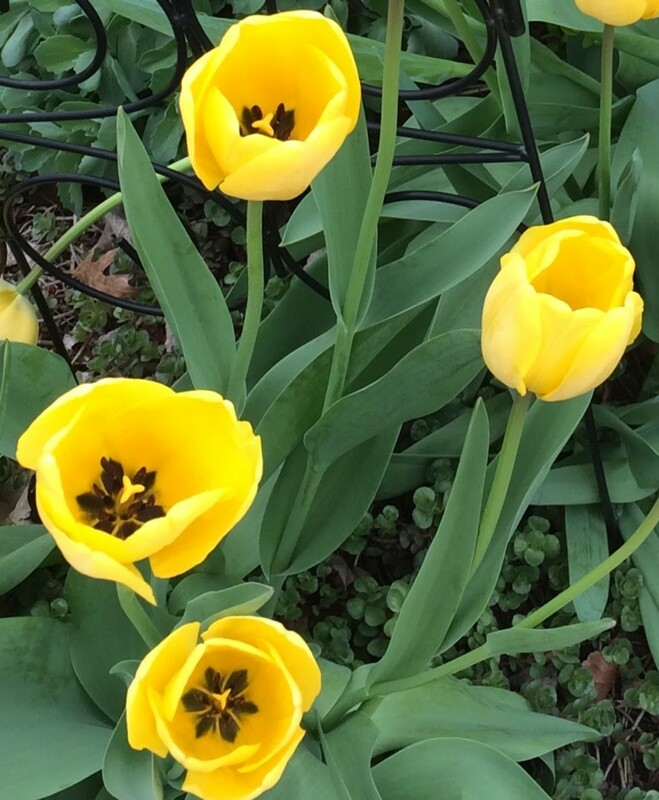 Plant the potted gifts of tulips or daffodils given to you in the spring. Save the bulbs in a cool place until fall. 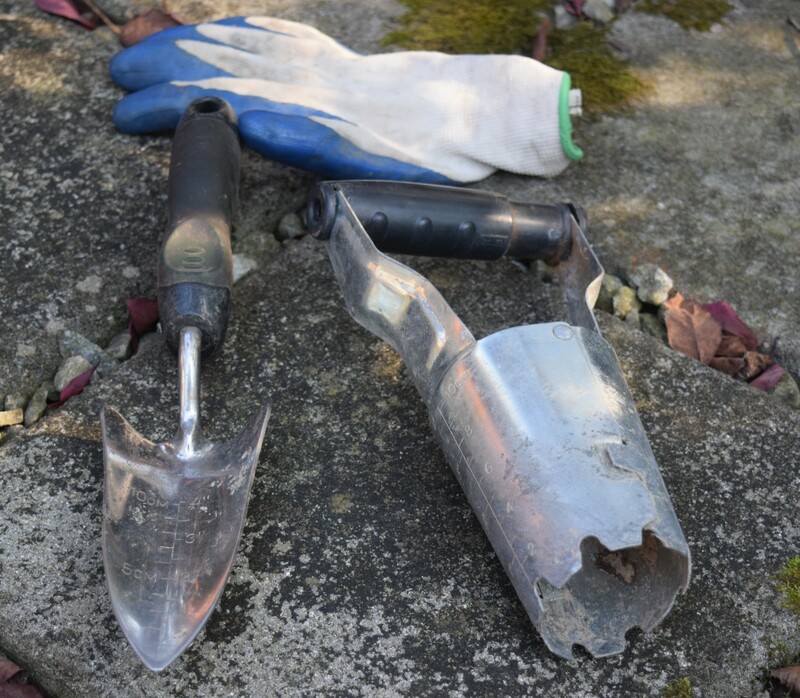 Below the glove are tools to use (from left): narrow small shovel, bulb planter. 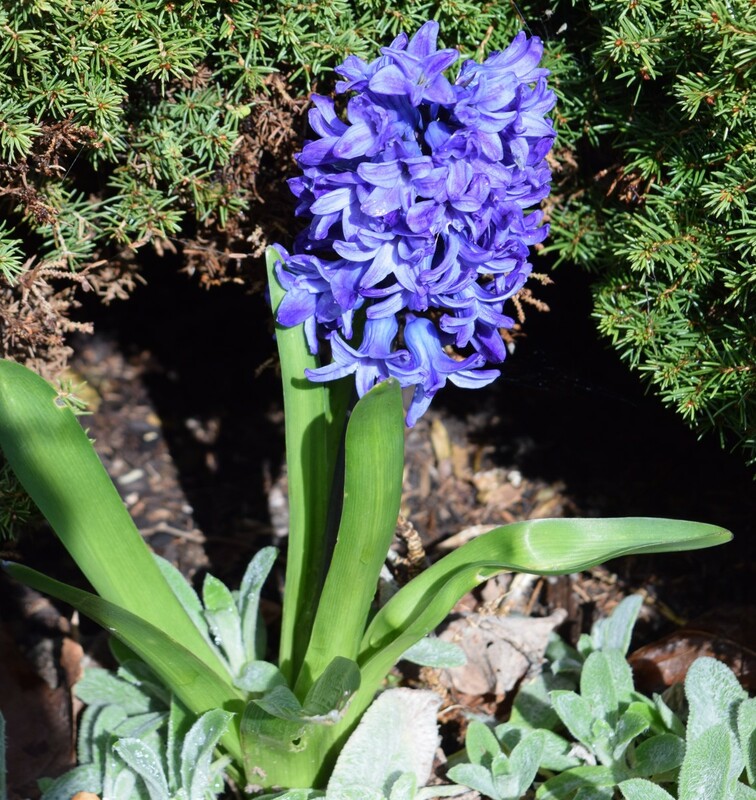 Most bulbs prefer well drained soil. Well drained means that they get a good watering and the excess water moves away. If the soil stays wet for too long, the bulb will rot. A location that gets full sun is best. 2. How Deep to Dig? The general rule is three times the height of the bulb. Example: the bulb is two inches tall x three = six inches. Dig a hole six inches deep. Use the tape measure or ruler to make sure. You can also check the package the bulb came in. Often you’ll find the depth to dig the hole. The distance between bulbs will be on the package too. Five tulip bulbs large and small. The bottom of the bulb is wider than the top. 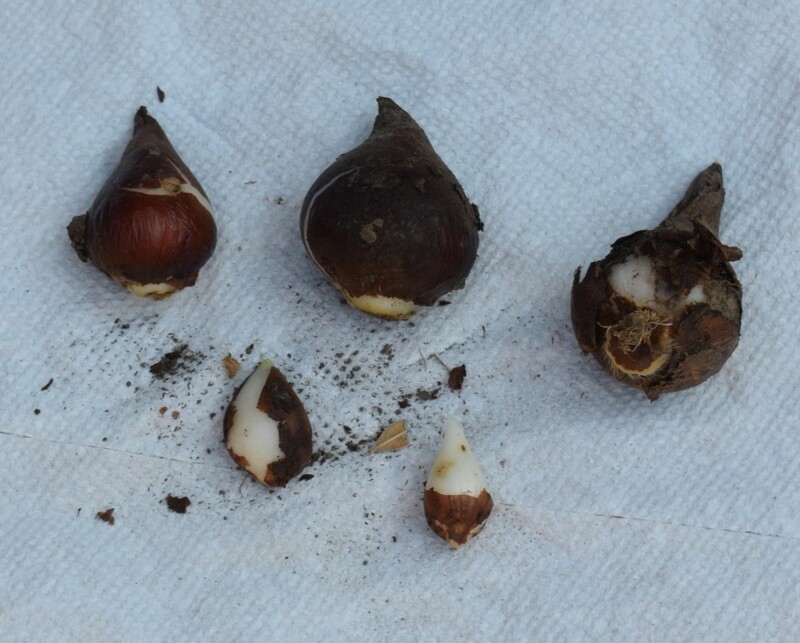 Can you see the yellowish roots on the bulb located on the far right? Without getting technical, the bulb has a wide end and a pointy end. The wide end is the part that rests at the bottom of the hole. That end has the roots which will feed the bulb through the winter. Sometimes you can see the roots growing out of it, but many times not. 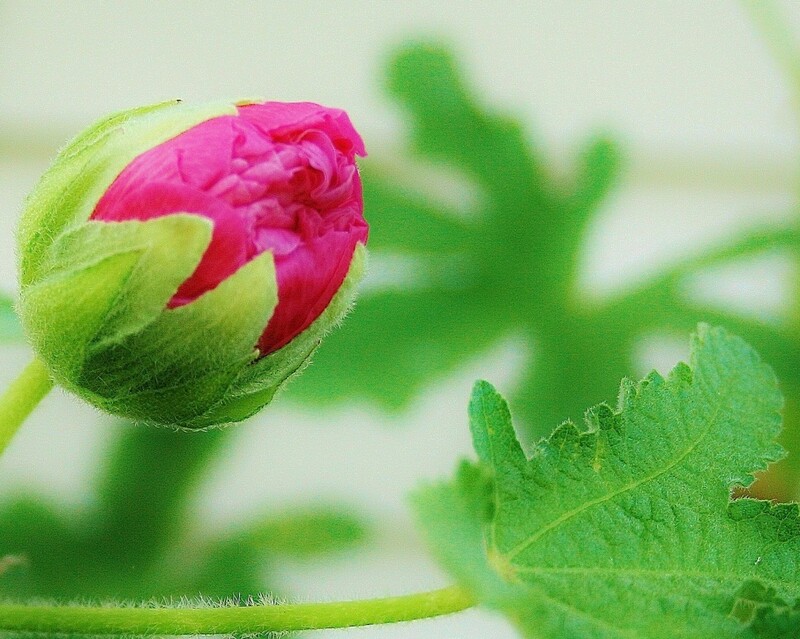 The more pointy end is where the flower will grow up and out from the ground. Make sure you place the wide end at the bottom of the hole. Mix some of the dirt from the hole with some compost. The compost will improve the texture of the soil. This makes it easy for the roots to grow and rain to penetrate the soil to water the roots. Compost will provide nutrients for the bulb as well. Scoop the dirt into the hole pressing down on it slightly to pack it in. Make sure the hole is filled to ground level. Be sure to water well after you plant the bulb. You may want to mark the spot with a plant tag. This will remind you where the bulb is located. If you want to plant something else later the tag will help you remember that is not the place to dig. You don't want to accidentally dig up the bulb! When you plant in fall it is six months or more before you see the results. In late winter and early spring, the weather can be variable. Some days it’s cold, other days warming up. When the temperature becomes warm, you might see the green leaves coming out of the ground. Yay spring! Then it gets cold with frost or snow again. Nay winter! Don’t worry about the green leaves of your bulb. They will stop growing without damage to the plant. 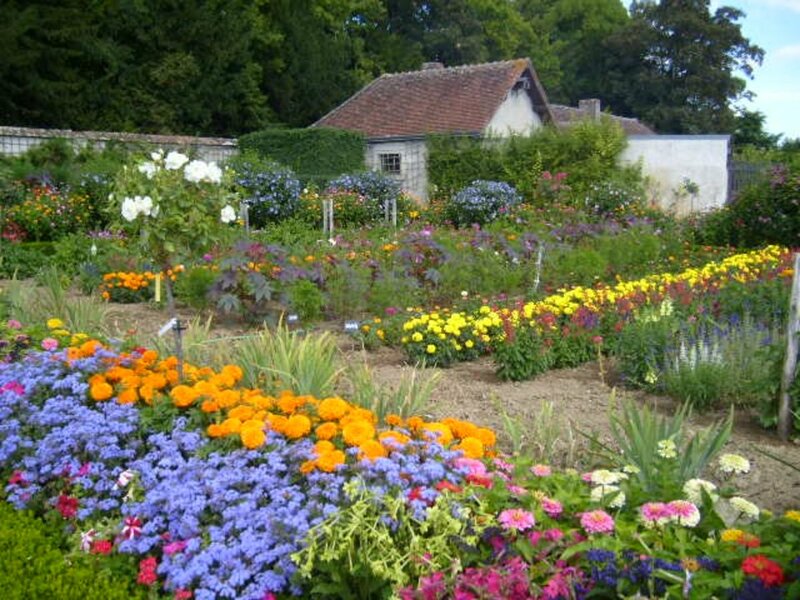 When the time and temperature are right the plant will continue to grow and produce those wonderful flowers. When the flowers fade you are left with the green leaves you were so excited to see two months ago. Leave them alone. They provide food for the bulb for next year’s flower. It will probably be another month before they wither and die. It does look messy. But leave them alone. What you can do is plant something in front of them to camouflage the slowly dying foliage. Tall annuals make good screens for the fading leaves. 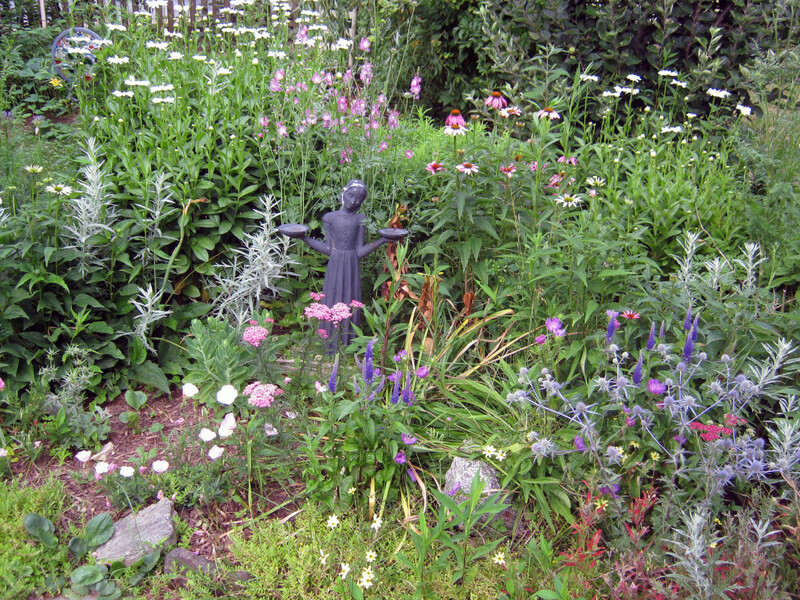 Cover up with perennials that come back every year. Squirrels are probably the number one problem. They enjoy digging up and eating the bulbs. In some cases they’ll leave the bulbs alone. Other times they discover that you loosened the soil making it easy for them to bury nuts. In the process, they find a bonus bulb to eat. Unless you know from neighbors that squirrels are a problem, plant the bulbs and see what happens. If you find that the bulbs are being dug up, you can put a square of chicken wire completely around the bulb before you return it to the hole. This will keep the squirrel from grabbing the bulb. The plant will grow through the hole in the wire. Deer and rabbits are culprits who eat the buds before they flower. Sprays that are effective but non-toxic are sold in stores. You can plant many bulbs so the loss is not so great - some for you, some for the wildlife. Plants that animals don’t like can be included in the bed where you put bulbs. Allium and frittalaria are flowers from true bulbs. Their scent is supposed to be unappealing to most wildlife. 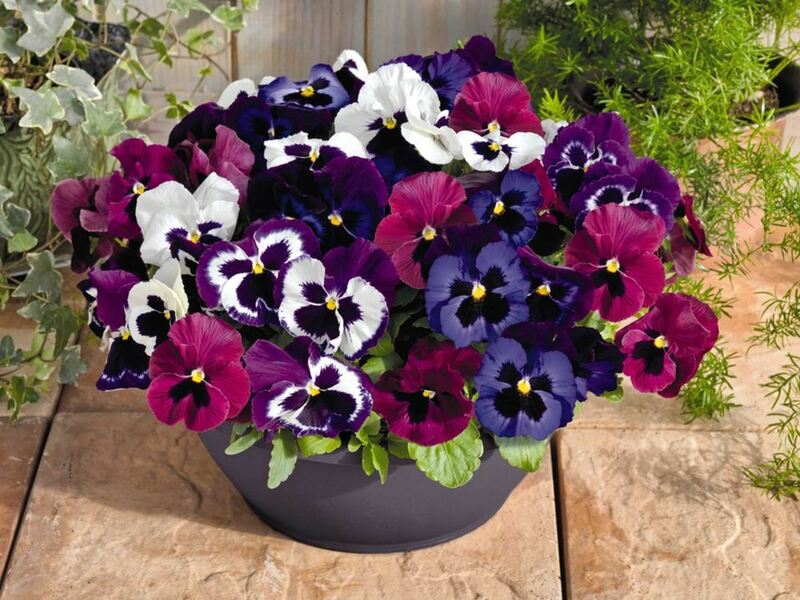 They can be planted at the same time in the fall as tulips and daffodils. Again, your neighbors are a good resource for wildlife problems. It is likely you won't have to do anything to protect the bulbs. With four easy steps in the fall you can have a fantastic almost no work display in spring. Plant extra so you can cut some flowers to bring inside. Every fall remember to add compost to the areas where you planted the bulbs. This will feed the roots. And keep flowers coming back every spring.